Regional NSW is a significant winner in this year’s Federal Budget with a record investment in infrastructure, health, education, seniors and carers, along with a suite of measures designed to more money back in the pockets of households and small businesses. The 2019-20 Budget is the next stage of our Government’s plan to build a stronger economy and secure a better future for all Australians. After more than a decade of deficits, this budget forecasts a surplus of $7.1 billion in 2019-20 – a $55.5 billion turnaround from the deficit we inherited seven years ago – creating more jobs, lowering taxes and guaranteeing essential services like schools, hospitals and roads. While the Budget forecasts a surplus, it also delivers an additional $158 billion in income tax relief for hard-working Australians, on top of the $144 billion in tax cuts locked into legislation last year. This includes immediate tax relief of up to $1080 for low and middle income earners and up to $2160 for a dual income couple to ease cost of living pressures. We are also backing small business by increasing the Instant Asset Write Off to $30,000 and expanding its access, benefiting 3.4 million businesses. The Budget provides record health spending of $81 billion in 2019-20, increasing to $89.5 billion in 2022-23. For schools, record funding will ensure teachers have the support they need to prepare students for the future. It also includes $30 million for the Local School Community Fund that will allow communities to fund projects such as upgrades to libraries, classrooms and play equipment. The Budget will also deliver a record infrastructure investment of $100 billion over the next decade, getting families home sooner and safer and unlocking the potential of our regions. 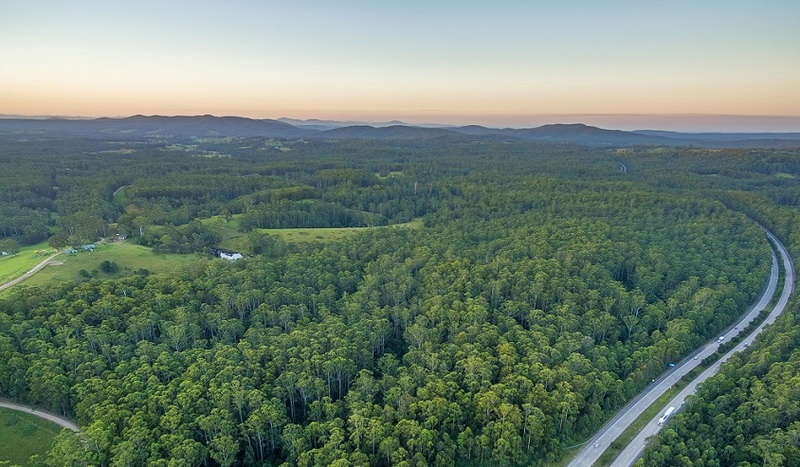 Federal Nationals Member for Page Kevin Hogan said the Budget was great news for local projects as well, with $332 million allocated this year and $221 million next year to complete the duplication of the Pacific Highway by 2020. Further south, Federal Nationals Member for Lyne Dr David Gillespie said $20 million in new money had been allocated to the Bucketts Way upgrade, $20 million for Clarence Town Road upgrade, $8.5 million towards the Fig Trees on the Manning Foreshore development, along with a big boost in funding for local councils to help them fix local roads. “There are specific funding allocations for a range of projects like these, and then there is more money being injected into a various programs which I will be encouraging local organisations to access as we beef up our infrastructure program from $75 billion to over $100 billion,” Dr Gillespie said. Dr Gillespie said the Budget also included a significant increase in the number of home care and aged care places. This Budget also guarantees the essential services people in our region rely on. To assist with their next power bill and the cost of living, our Government will provide a one off, income tax exempt payment of $75 for singles and $125 for couples to more than 3.9 million eligible social security payment recipients. This is all possible because of strong economic and budget management.